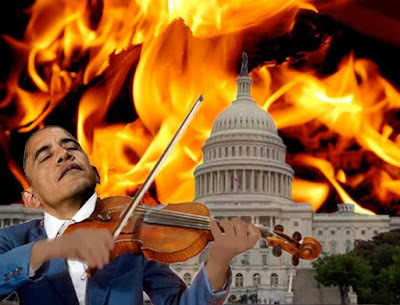 As the world burns around him, President Hussein Obama's obsession with Israel is interrupted only for his golf games. On Friday, the Obama-Kerry State Department condemned Israel's incorporation of an abandoned former tuberculosis treatment center into the Etzion bloc. Settlement activity is “illegitimate and counterproductive to the cause of peace. Continued settlement activity and expansion raises honest questions about Israel’s long-term intentions and will only make achieving a two-state solution that much more difficult,” Kirby told reporters in Washington on Friday. He spoke days after Defense Minister Moshe Ya’alon agreed to expand the Gush Etzion bloc to include a 4-hectare site with eight stone buildings that is located off of Route 60 between the Gush Etzion junction and the Kiryat Arba settlement. Settlers want to operate a tourist center on the property geared to helping visitors take advantage of Jewish tourist sites in the area, including the Cave of the Patriarchs in Hebron. The property was owned by the US Presbyterian Church until 2008 where it ran a tuberculosis hospital and then a hostel on the site. Inclusion of the site within the Gush Etzion boundaries would make it easier for settlers to further develop the property. He then spoke in general about Area C of the West Bank, which is under Israeli military and civil rule. “It’s important to note that some 70 percent of the West Bank’s Area C has already been unilaterally designated as Israeli state land, or within the boundaries of these regional settlement councils,” Kirby explained. “The new decision only expands this significant majority of the West Bank that has already been claimed for exclusive Israeli use. “Along with the regular retroactive legalization of unauthorized outposts and construction of infrastructure in remote settlements, actions such as this decision clearly undermine the possibility of a two-state solution,” Kirby said. The US has asked both the Israelis and Palestinians to demonstrate their commitment to a two-state solution, Kirby said. “Actions such as [the Gush Etzion] decision, we believe, does just the opposite,” he stressed. I'm sure the starving Syrians in Madaya and the molested German women in Cologne found Obama's priorities heartwarming. Five 'll getcha ten, Barack made at least an allusion to a "Judenfrei" Gaza and West Bank his toast at the 2003 Khalidi banquet. Carl? I have only one word for Obama! UGH! Is it really that crazy if I believe Obama is part of the Muslim Brotherhood? Would that really be such a stretch of the truth that it's inconceivable? The fighting in Israel has gone on long enough. A 2 state solution is impossible when the Palestinian Authority says they will not recognize Israel as a country EVER. That's the end of negotiations.